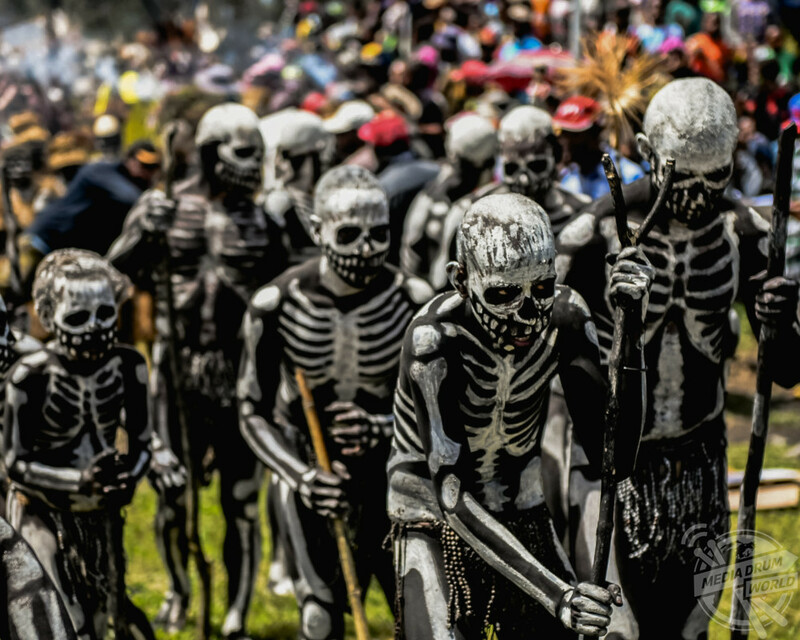 INCREDIBLE images have revealed the mysterious tribe who dress as skeletons to strike fear into their enemies. 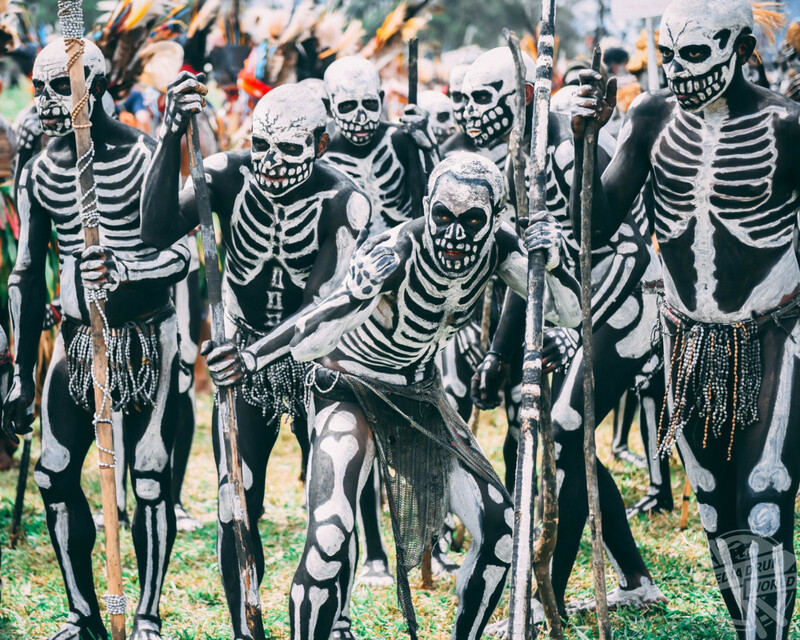 Stunning pictures show groups of men painted to look like skeletons dancing and moving about with sticks as they make their way to the Mount Hagen festival. 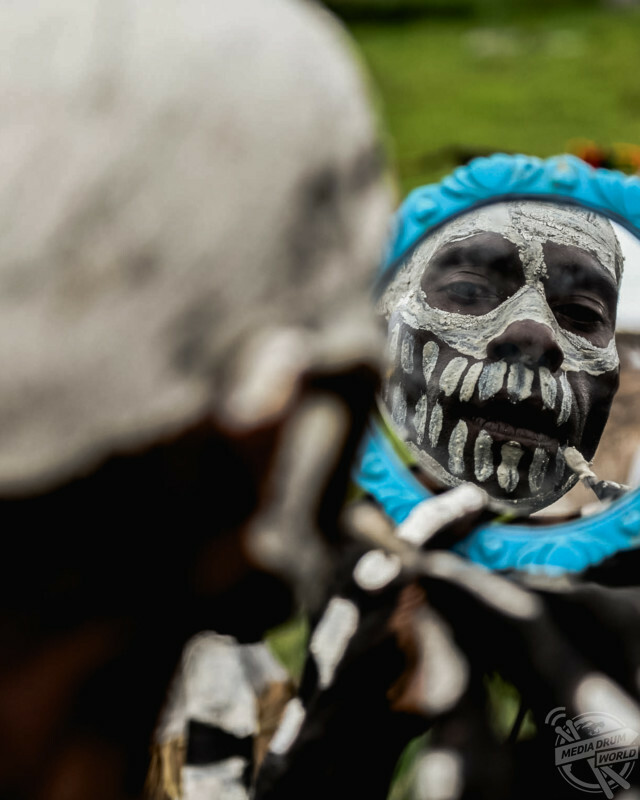 Other striking shots show the tribesmen using hand mirrors as they perfect their facepaint and posing for the camera as they smoke cigarettes. 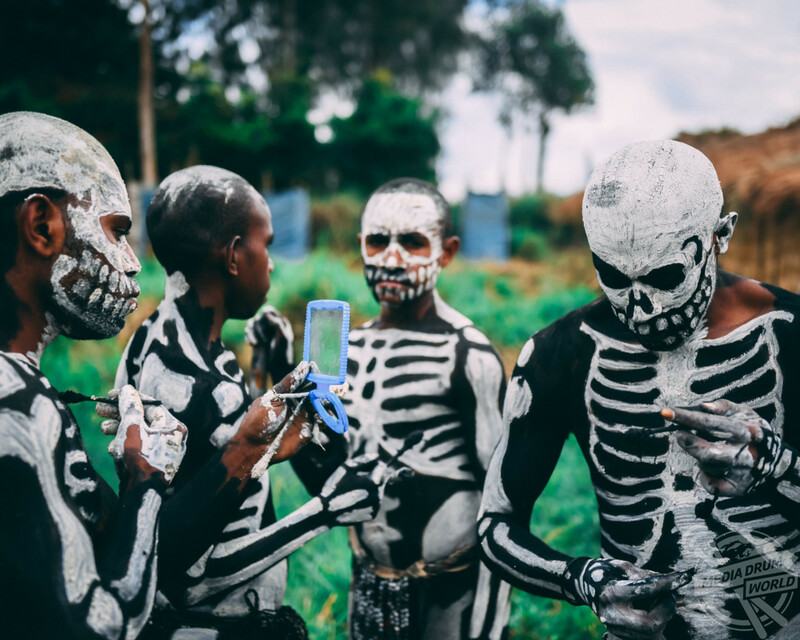 The remarkable photographs show the Chimbu Skeleton Tribe of Papua New Guinea and were taken by amateur photographer Pongtharin Tanthasindhu who grew up in Thailand but now lives in Toronto, Canada. 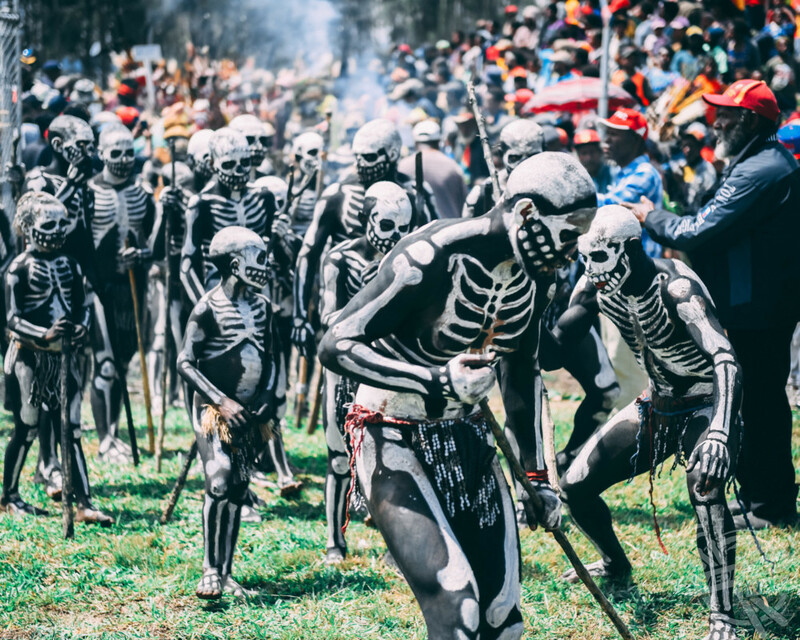 “What you can see in these photos are a group of Chimbu Skeleton Tribes making their way to the arena for Mount Hagen festival as well as their behind the scene and how they prepare for the festival,” he said. 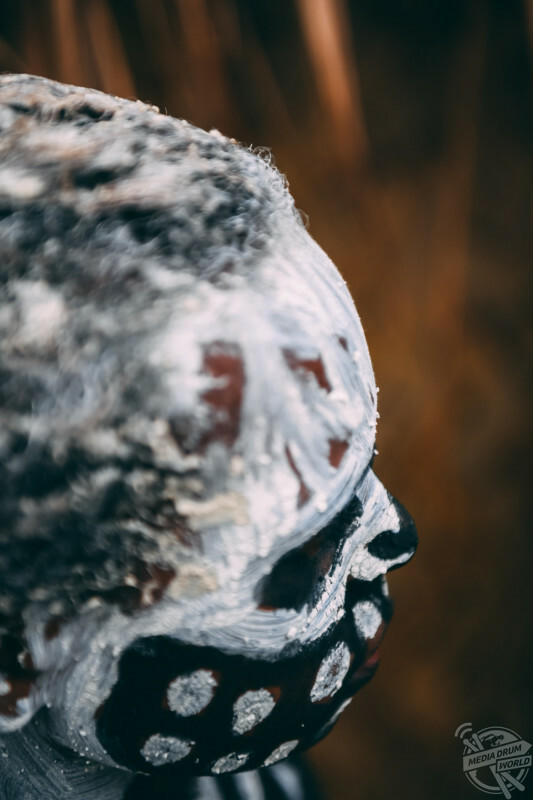 “Very little is known about this tribe and that makes their body paint more fascinating. 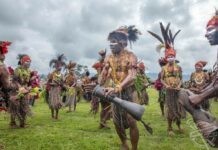 My aim is to showcase richness and mysteriousness in Papua New Guinea cultures/tribes. 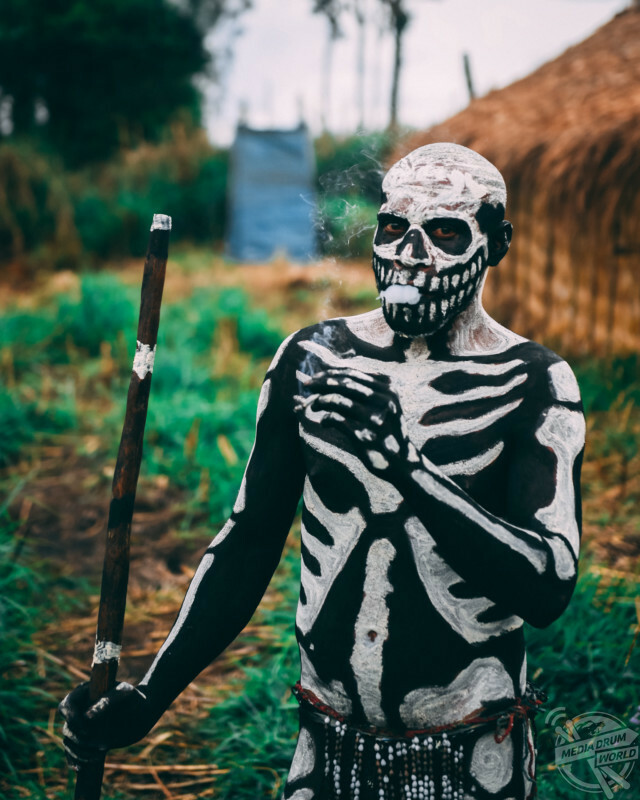 Only first making contact with the Western world in 1934, the Chimbu tribe have largely remained a mystery—making their skeletal body paint even more fascinating. 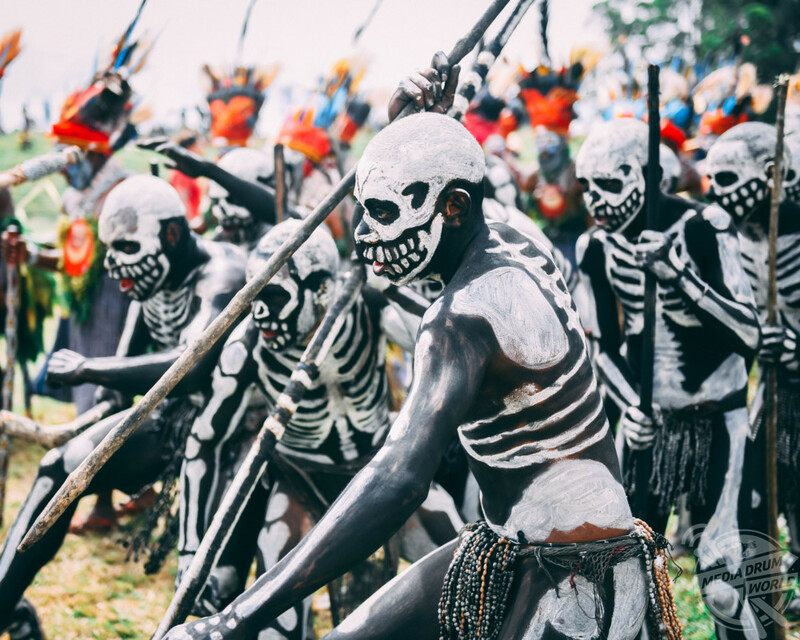 Combined with dance, the paint jobs of Papua New Guinea’s Chimbu tribe were originally intended to intimidate enemies. 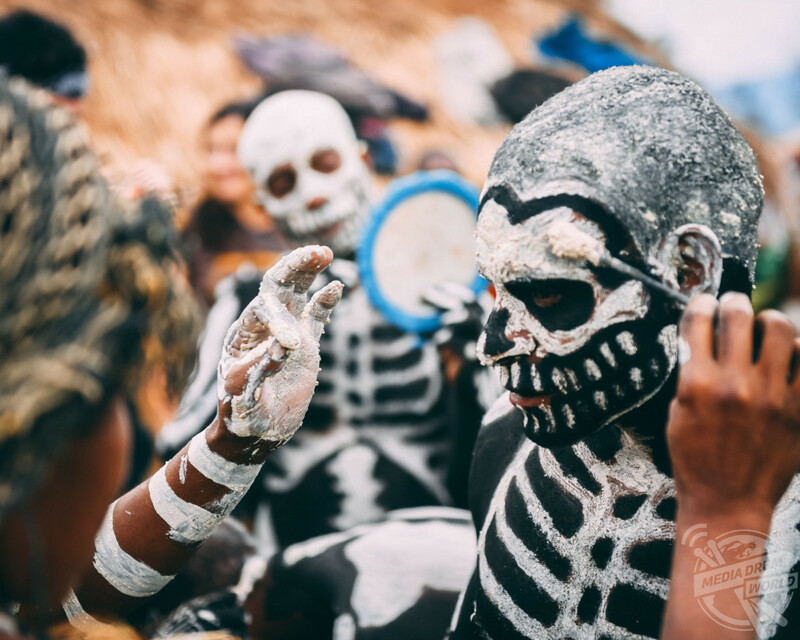 Today, they are now part of an event called a “Sing Sing,” where nearby clans gather to celebrate the rituals and traditions of their cultures. 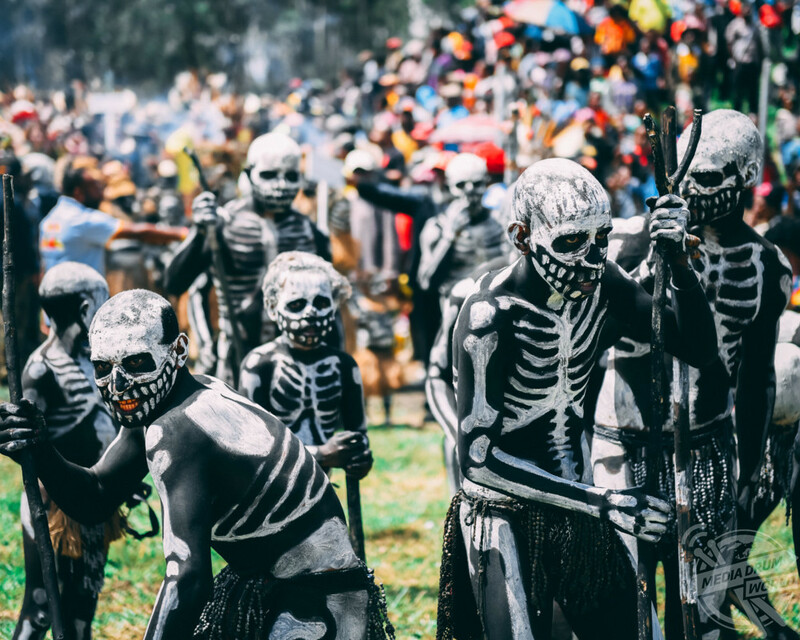 The Chimbu primarily speak Kuman—one of the over 800 languages of Papua New Guinea. 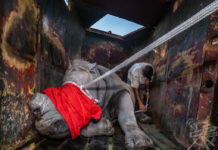 Pong hopes to visit every country in the world and every possible territory. 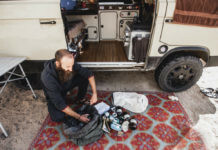 He has so far visited 143 countries and plans to finish it by 2022. 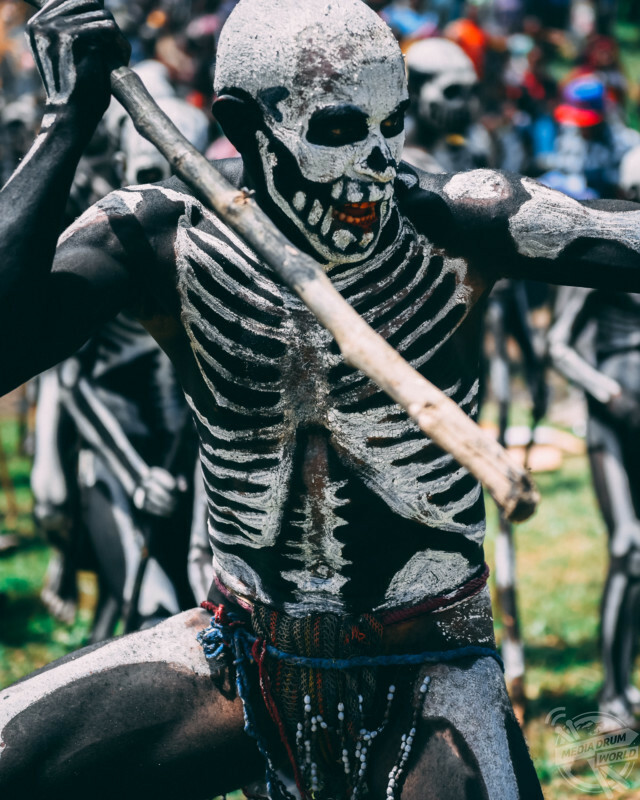 He explained the problems he ran into photographing this tribe and why he loves this type of photography. 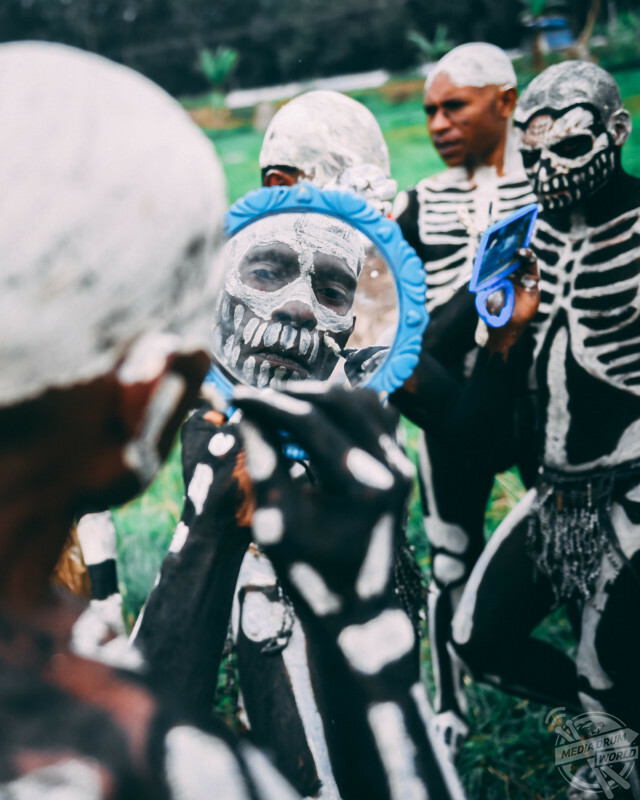 “The subjects were moving all the time (at different paces) and therefore, I had to constantly find the best possible angle to shoot from as well as making sure the lighting was perfect for the frame,” he said. 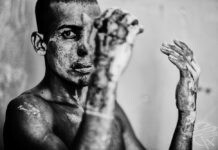 “I have always been a fan of street and people photography in general. 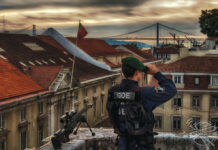 I feel that it tells a great story when traveling off the beaten path.